High-speed vehicles are one of the prime reasons of accidents in India. 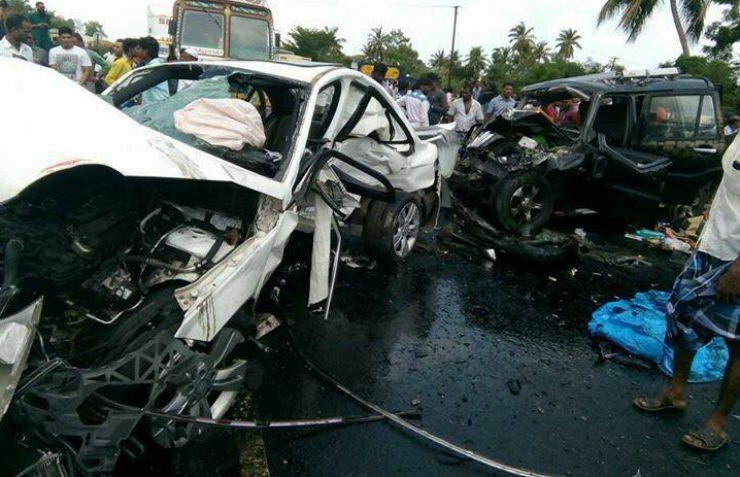 In a horrific crash that happened in Vellore, a high-speed Mercedes-Benz C-Class jumped the divider to hit a Mahindra Scorpio and a Tata Indica on the opposite side. As many as seven casualties resulted from the accident. 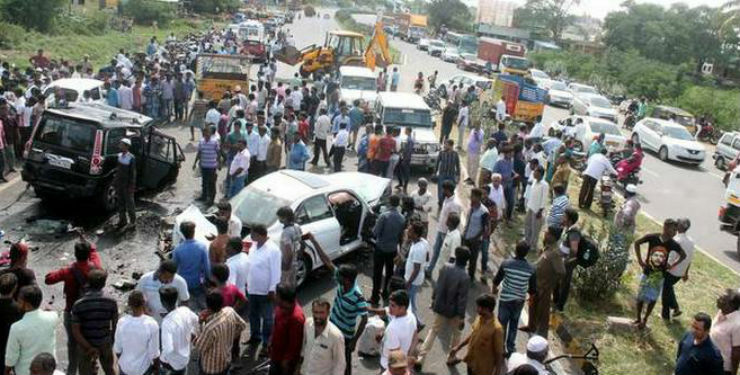 According to several eye witness present at the location, the Mercedes-Benz was coming from Bengaluru and was headed towards Chennai. The Mercedes-Benz was at a high-speed when a biker suddenly appeared in its lane. In a bid to avoid the biker, the C-Class swerved and jumped into the other side of the road. 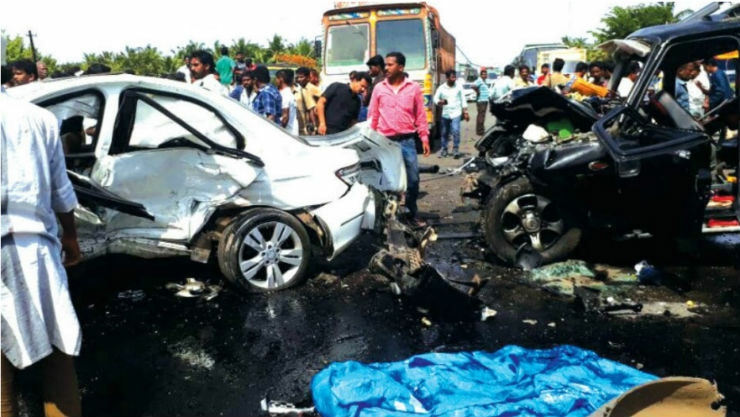 A Mahindra Scorpio and a Tata Indica on the opposite lane collided with the C-Class, which caused four people to die instantly on the spot. Later, three more people succumbed to their injuries in the hospital. The Scorpio hit the side of the Mercedes-Benz and the Indica coming behind hit the Scorpio and fell in a pit. From the pictures, it can be seen that all the airbags of the Mercedes-Benz C-Class deployed and it saved the two occupants of the vehicle. Reports suggest that the Mercedes-Benz driver could not avoid the motorcycle rider too and the rider is dead too. From the pictures and videos, all the cars can be seen mangled badly due to the accident. Indian highways are one of the most dangerous roads in the world. In 2015 alone, the accidents claimed 400 lives per day. Here are a few tips that can keep you safe on the highways. Keep an eye out on the slow moving vehicles; they can be extremely dangerous, especially if they are in the right-most lane. Indian highways see a lot of vehicles on the wrong side of the road, especially bikers. Be watchful to such vehicles. Stray animals can pose a lot of danger because they are unpredictable and can run in front of your vehicle anytime. Pedestrians crossing the highways can be extremely dangerous. Always slow down while passing crowded areas. Overloaded vehicles pose a threat of turning over and crushing other vehicles, stay away from them. Illegal speed breakers can cause massive accidents. They are mostly found in the highways crossing through cities and villages, be wary of that.